Over 500 secondary schools to receive HK$1 million to broaden students’ knowledge of subjects like AI, cloud computing and big data. The youth must be at the forefront of the technological revolution as they will inherit the tech legacy of the current era. To ensure that students enter the workforce with the appropriate skills and competencies, the Hong Kong government has announced that the students of the region will be groomed into technology leaders, according to a report. This is part of the government’s ambitious HK$45 billion funding package to boost the city’s innovation sector. The Financial Secretary said in his budget speech that he would deploy HK$500 million (US$64 million) to implement the IT Innovation Lab programme in secondary schools over the next three years. This was among a host of funding initiatives dedicated to the city’s innovation and technology (I&T) development – and its dream of becoming a global tech hub. It was noted that the current-term government is working hard to promote I&T development; the for quality infrastructure to attract I&T talent is imperative in order to facilitate the operation of I&T enterprises. Thus, to pave the way for nurturing local technology talent, the Government is also encouraging the promotion of popular science education in schools. Under the IT Innovation Lab programme, each of Hong Kong’s 519 secondary schools would be granted HK$1 million to procure information technology equipment and related services and organise more extracurricular activities. The goal is to deepen students’ knowledge of cutting-edge subjects, such as artificial intelligence, cloud computing and big data “with a view to helping young people build a good IT [information technology] foundation. It was also noted that the I&T sector will be a key driver of the economy going forward, and help Hong Kong diversify its economy, as well as dovetail with the Greater Bay Area blueprint. It is undeniable how technology is driving growth and efficiencies in other economies, so this is one area where Hong Kong must work hard to keep pace with the world and the dynamic rate of technological advancement. Experts and pundits laud the Government’s initiatives, saying that the funding for renovating university laboratories might help the institutions reach breakthroughs in research. Many professors and researchers good research aims and ideas but lack the necessary laboratory equipment. The investments in education and student-focused initiatives couldn’t come at a better time, particularly because of what it might mean for Hong Kong’s FinTech industry. Hong Kong’s FinTech sector is set to be a major game-changer in the world’s financial industry thanks to a dedicated government team. In an article, the Head of FinTech at InvestHK stated that, when it comes to promoting financial technology, there is no shortage of initiatives taking place in Hong Kong. There are now some 550 FinTech companies based in Hong Kong. Of these, 52 per cent are from abroad while the remainder is local. The expert noted that adding that new jobs in the sector will come from a range of professions and responsibilities for highly-skilled individuals. The Head noted that finding the right people is a challenge in all the global FinTech markets. That is why the move to invest in tech education students is so important. 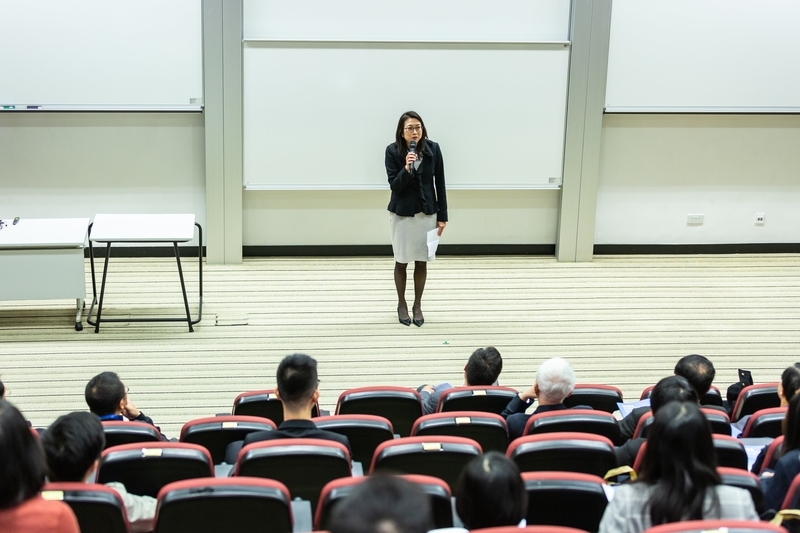 Universities like HKUST have responded to the need for better-equipped professionals by inaugurating FinTech courses into existing programs. In September 2019, the university will launch one-year full-time or two-year part-time Master of Science (MSc) FinTech programs that focus on Blockchain, FinTech, AI and compliance and regulation. Thus, by working in conjunction with one another, the Hong Kong Government, academic institutions and industry players can help create an environment conducive for tech education in order to groom the next generation of tech leaders and gurus.